“Your most unhappy customers are your greatest source of learning” - Bill Gates. Indeed. To be honest, an angry customer is a real pain in the neck. If forget about this fact, settle down and do a spot of thinking, it will be easy to figure out that a client is a real exploratory bonanza. As a matter of fact, entrepreneurs realized the whole potential of customer development only in the beginning of 1990s, thanks to Steve Blank who is one of Silicon Valley pioneers. By implementing this approach to his startups and mainstreaming it after, he made businesses all over the world focus on client-oriented business models and pushed on creating a customer dedicated service centers with the staff that outnumbers a personnel of an average company in 2017. It goes without saying that a business owner who respects oneself and clients is supposed to have a support center to provide customers with the highest level of assistance and avail oneself of this incredible information source for a proper business management at the same time. A customer satisfaction survey is a common way for thousands of companies all over the world to reach their business goals. More often than not, they use Net Promoter Score, which is one of the most convenient metrics on merit. To develop a truly good product, you don’t need a talent. You should just ask your customers. 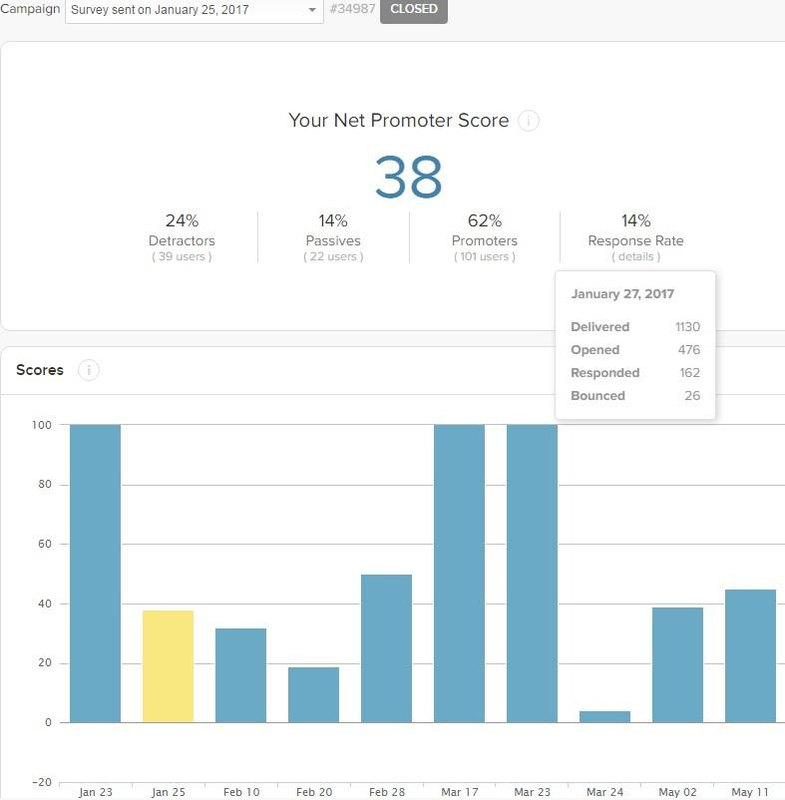 Net Promoter Score (NPS) is the best measurement of customers loyalty, allowing a questioner to discover a state of play. Promoters (9-10) - happy customers. Segmenting clients according to their level of satisfaction is a reliable way for any company to do a better job from the perspective of future. Discovering customers’ satisfaction level. There is no better way to test the waters before starting the next goal. Removing hurdles that customers are facing. Increasing your customer’s trust is a priority task of your survey. Product and services upgrade. The collected data combines helpful requirements and suggestions from survey participants. This allows to come up with a successful strategy for developing user-friendly products and services. Customer support services improvement. Response from real people is a good basis for redeveloping approaches your support team uses when working with your clients. Constant business monitoring. Reaching out to clients with surveys from time to time, you will be able to never miss a trick. To show how the process of an NPS surveying works, let us take a real case of a company that has a first-hand experience. Website builder vendors like MotoCMS allows the first-timers creating a professional website with no web development experience. This company has its own customer support center that is available 24/7 to give a helping hand to any client in any possible issue if one occurs. The MotoCMS customer support team assisted thousands of customers after the years on the market. Every day the MotoCMS customer support gets feedback about its own product or service. The company puts this information to use to improve both. The result is sincere testimonials from people who got their issues fixed. But what about the clients who don’t leave reviews at all? Is there any possible way to reach them? Thanks to their humongous customer base, MotoCMS initiated the customer satisfaction survey to answer this question. To maximize the effect from the survey, MotoCMS arranged an automatic mailout on an ongoing basis. A month after making a purchase, a new customer receives an email with the single question, which is pretty simple. You can see it in the below-displayed form. The word of a client is like a Pandora box. Aside from the rating itself, MotoCMS customers leave a wide range of comments about the quality of the admin panel, templates and support services, including positive testimonials, criticisms, recommendations etc. I have been using MOTOCMS for years and I have come to the conclusion that the services, support, and attention given to customers is equal to no other Internet services, website templates companies. Yes, I have recommended MotoCMS to many clients and I am so proud! The MotoCMS templates are Great! The reason I rated them an 8 because it's easy to use once it's installed and up and running. Most people I know aren't tech-savvy enough to install the template and they might not even know where to start once the template is purchased. Because the SEO settings are taking much longer to be ready then using WordPress. Also, it takes 5 to 8 seconds for the contact form to send the email so I hope that I didn't miss any emails by that. This part of the survey has helped to realize the relevance of a Mandrill tool, which is one of the top software pieces for this purpose. It should be mentioned also that the first automatic mailout was sent to all existing clients in order to collect necessary data for this research. In future, only newcomers will be receiving such an email. Once the first email is sent, the next step is summarizing the data you get. Here’s the example of how the respondents of MotoCMS customer survey rated the website builder quality level. 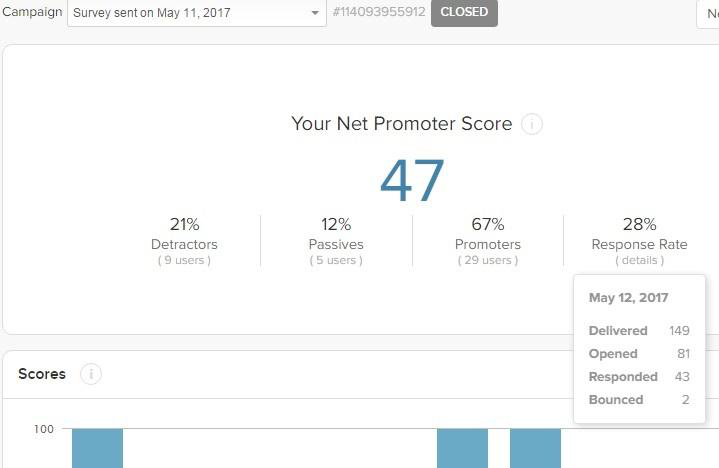 To calculate an NPS score and subtract the percentage total of Detractors from the percentage total of Promoters, the MotoCMS support team used a NPS platform. As you can see, the MotoCMS customers are very different when it comes to their opinion. Though the number of satisfied customers prevailed, there was still ones who recommended the company. Once the support team discovers the reason of a client verdict, the respondent receives a personal email with several possible ways of solution. On the image above, there is an email to an unsatisfied client from the head of MotoCMS support team. MotoCMS set a challenge to coax each Detractor and Passive no matter what and, of course, send many thanks to all Promoters. The company has gone through thousands of original cases and replied to each participant of the survey personally. The support team drilled down and asked Passive opinion givers on how to improve the product or level of service. Once the issues were fixed, many Passives changed their mind and turned into Promoters afterward. The same thing is with Detractors. Though there have been no cases of direct Detractors-into-Promoters conversion recorded, some of the most unsatisfied clients changed their opinion with time and raised their score by a few points. The support team came up with a custom solution for each Detractor, giving away discounts and offers, assisted in SEO, website customization etc. The end goal is to make a client change its own mind and give a more positive rate. The follow-up mailout after a while proved that the efforts were not in vain. To guarantee the dynamic analysis of data and keep it relevant, the MotoCMS support team wanted to find out whether the survey participants changed their mind or not since the first mailout. Since it is highly recommended to repeat this procedure every three months, the company sent follow-up emails to different groups of customers who have already participated in the survey in 90 days. Now let us take a look at the statistics. As one can see, the number of satisfied customers increased. It seems like the boost is insignificant, but don’t forget that the company received the information that is beyond price. The customer satisfaction survey practice by means of NPS Survey Software helped the MotoCMS team transform the way of clients understanding dramatically and set the sights on improving their product in the right way. We hope this case study will do well for your business too. Good luck! 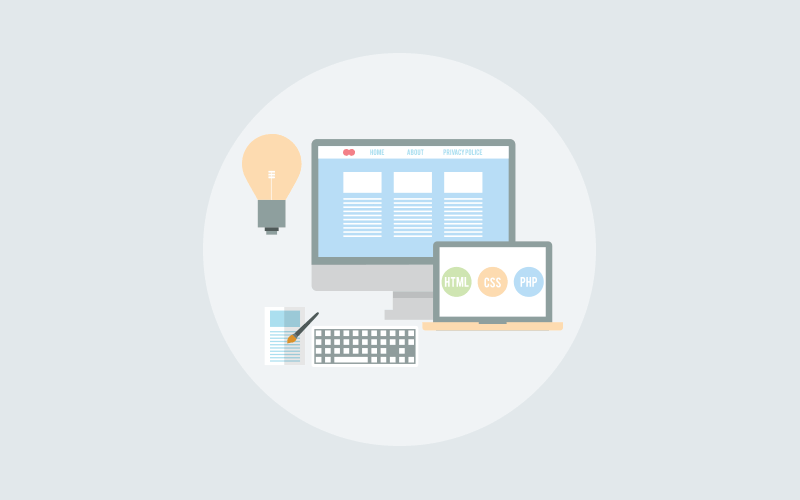 Next Adaptive Learning: What it Means for Teaching & Learning? Wanna Build a Better Product? Ask These Questions! Is Micro Learning Shaping the Future of Corporate Learning and Development?